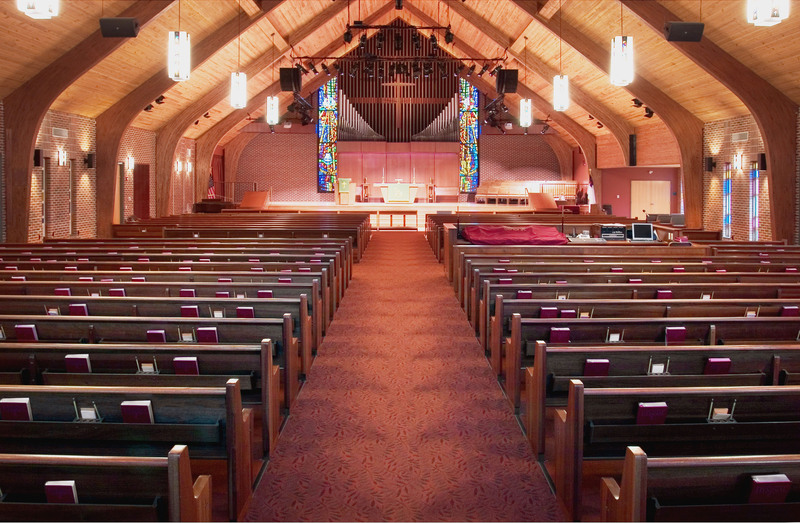 ​To implement the renovation and expansion plans for this thriving church, we used a phase-by-phase approach to demonstrate how the project would be accomplished while retaining cherished existing features such as the stained glass windows and the appearance of the sanctuary. 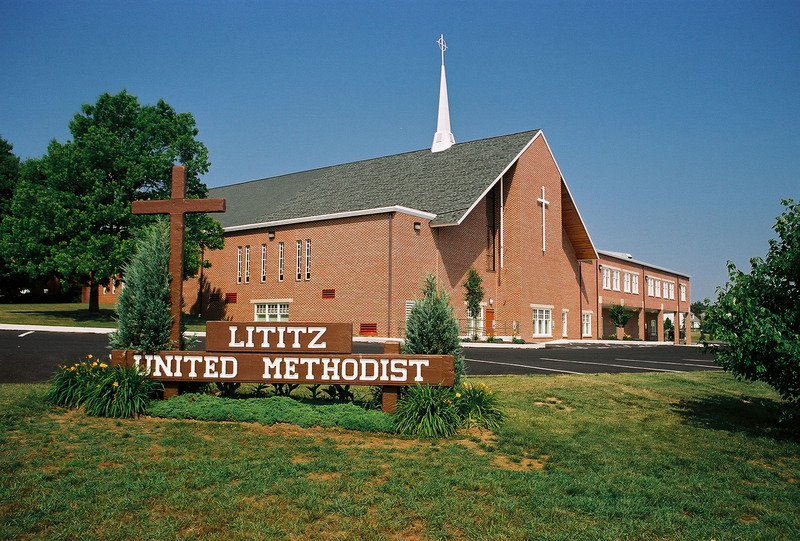 This approach encouraged consensus and enthusiasm from both the building committee and the congregation-at-large and allowed us to address any questions in a timely manner. Renovations in all areas of the church now provide up to three times more space, including the sanctuary where a hidden backlighting installation showcases the preserved stained glass windows. Additional parking surrounding the church utilizes the maximum space allowed by zoning, adding convenience and access to church entrances from all parking areas. 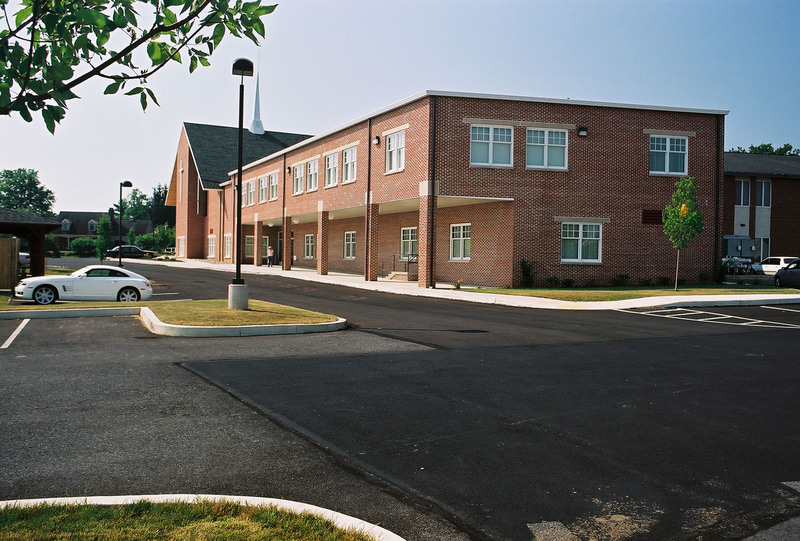 This view of the additional parking shows how parking access is now available from the new classroom addition and both sides of the church, providing convenient parking choices for entry at each part of the building. 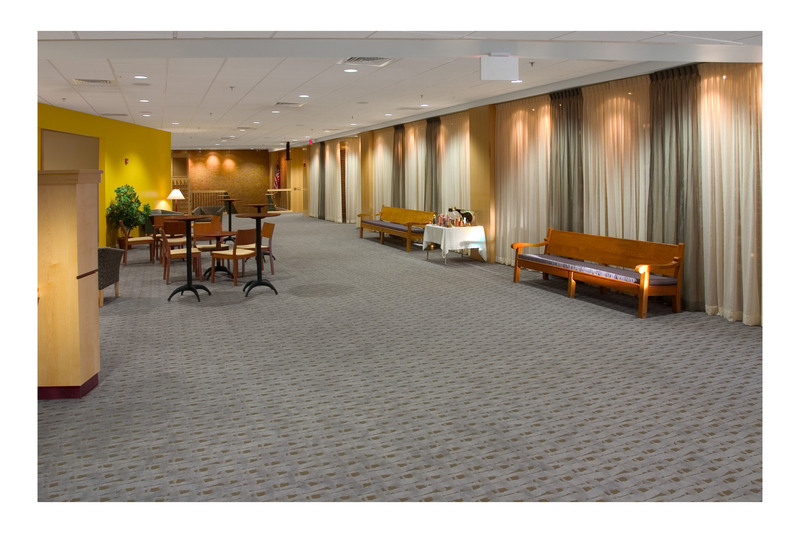 Now there are ample open areas for the congregation to gather for socializing and church events, with easy access to restrooms and classrooms. 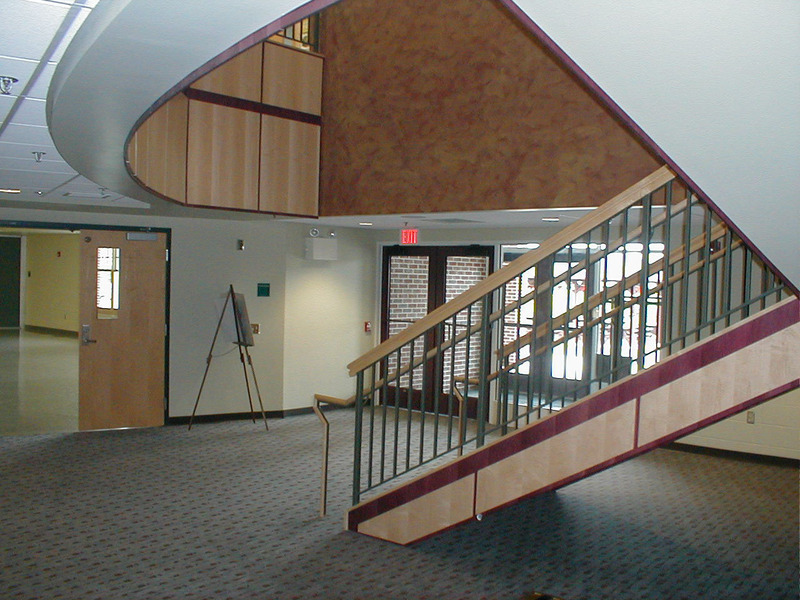 Curved walls, large windows and glass doors, and a color scheme that combines soft tones and vibrant accents and textures, are all elements of the new design that enhances the spaciousness of the new building addition.